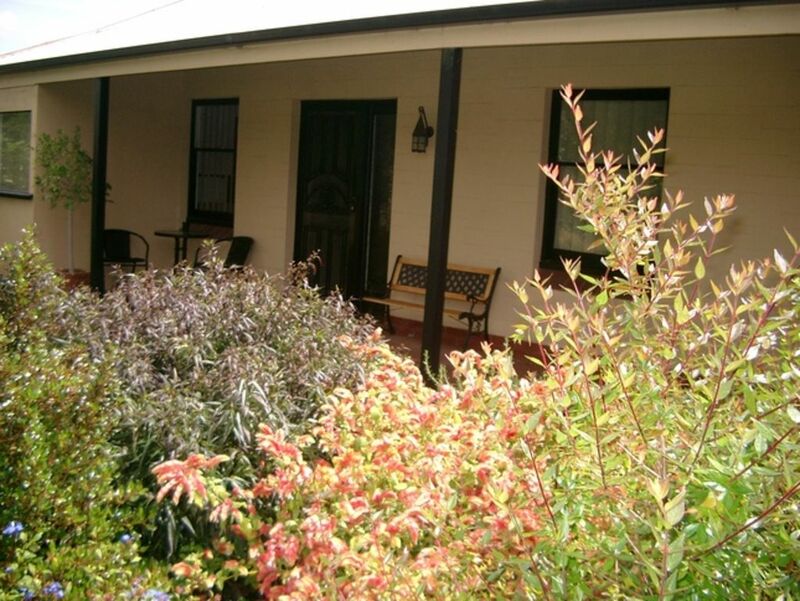 This accommodation is perfect for holidays or business visits to Adelaide, South Australia. Enjoy a Modern completely self contained cottage with character of yesteryear, whilst having the convenience and luxuries of modern living. The cottage is located on a quiet street with views of the Hills. There is a sixty year old cotton palm in the backyard which is a bit of a landmark in dernancourt it can be seen from miles around,hence the name. The cottage has been in the same family for over 70 years -it was originally built in the 1930s and is one of the few original homes in Dernancourt. It has certainly seen a lot of change from farming cattle on the hill and celery-growing where Coles is now! Over the years there have been changes made to the homestead - updated kitchen, laundry and bathroom, polished floors and ducted cooling throughout. Gas Space heater in the lounge room. Enjoy a modern, completely self-contained cottage with the character of yesteryear, while having the convenience and luxuries of modern living. MASTER BEDROOM sleeps 1 or 2 guests in a queen size bed with pillow top mattress, tall boy, mirror and clothes hanger. SECOND BEDROOM can sleep 1 guest in a single bed, mirror and clothes hanger. THIRD BEDROOM sleeps up to 2 guests - 2 single beds low line bunks, bedside, reading lamp, clothes hanger. PORTACOT and high chair are available on request. The home has everything you need for a relaxing stay, beautiful gardens back and front, small lawn area and the wonderful big verandahs for outdoor entertaining or a lazy place to rest and watch the world go by. The cottage is situated in a suburb of Adelaide called Dernancourt. Dernancourt is 13 Km's (15mins by car) from the city ADELAIDE CBD where you can explore the wonderful array of shopping for all tastes visit the botanic gardens, museums, theatres, galleries & zoo, don't forget the PANDAS too!. The cottage is a terrific location from which to explore what adelaide has to offer. There are famous wine regions in one direction and beautiful beaches in the other. Walk to "Coles" major shopping centre which includes other specialty shops, public transport almost at the door stop. Near to Westfield Tea Tree Plaza for all the Shopaholics needs! The bus will take take you straight there and back (15mins). Hairdresser, Pizza, BP Servce Station all with in 3min walk. Balmoral Park for a BBQ or the well known Linear Park for peaceful stroll or bike ride. Explore the ADELAIDE HILLS home to the Giant Rocking Horse & wild life park, Birdwood, home to the National Motoring Museum, or Hahndorf the well known historic German settlement. Please Note: If we are booked for the dates you require please take a look at our property - Fairview Retreat for availability. Highly recommended. Cotton Palm Cottage is a wonderful place to stay. We felt very welcome as it has a very relaxed feel. Your Home Away From Home - Says It All! Sensational place to stay! I grew up about a kilometre away over the hill - so it was like coming home! You almost don't require a vehicle. Bus stop on main road two minute walk. Shopping centre with anything you might need three minutes walk (across road from bus stop!). All the facilities at this property are top notch. Would thoroughly recommend this property and would definitely stay here again! This property exceeds Excellent ! !